Technology is always advancing to make life on earth easier. However, that doesn’t mean that just because something is invented, it will get used worldwide the way the creator intended. 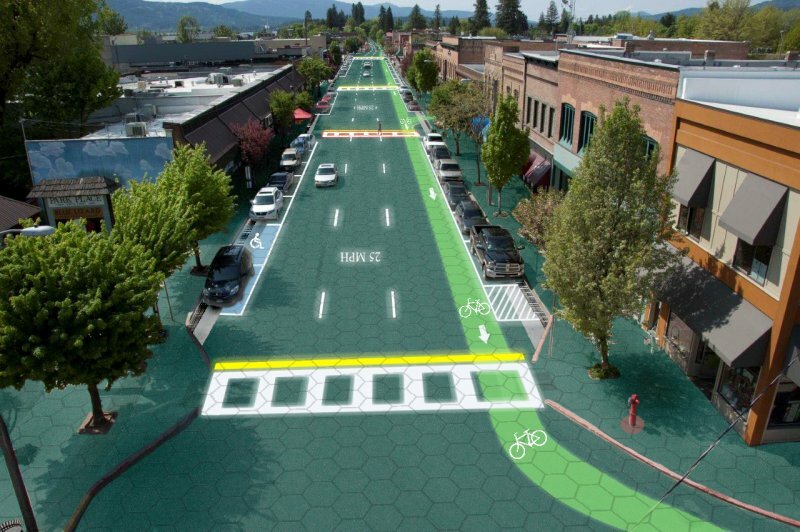 Will Solar Powered Roadways take the same road? It doesn’t seem that way. Thanks to Julie and Scott Brusaw, we’re now able to harness the power of the sun even more than before. What the hell is the sun going to do for us!? Is what you may be thinking. But fear not, if we are able to effectively harness the power of the sun, the way nature does, we can literally bring our planet back to life, make everyone healthier, and save tons of money! But what the heck is a Solar Powered Roadway? It’s exactly what it sounds like. Solar Panels have begun gaining popularity all around the globe, which is a great thing. Why? Simply because energy created by solar panels by absorbing sunlight is clean, safe and has untold amounts of potential. 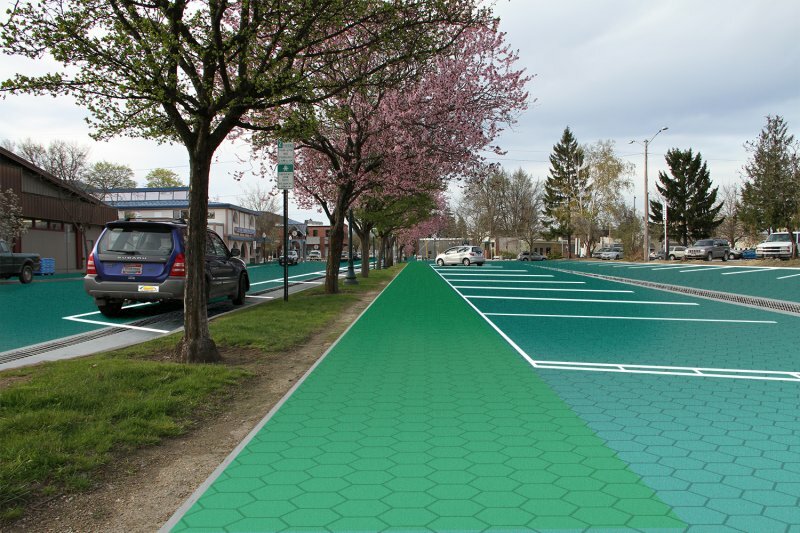 The idea behind Solar Powered Roadways is to put our asphalt to good use. By taking away regular ‘roads’ and replacing them with Solar Panels, we can generate TONS of energy without doing anything! The Brusaw’s realized that the light from sun shouldn’t only be used on regular Solar Panels, but why not take it a step further and put these solar panels everywhere by having them replace something that can benefit everyone. With Solar Panels in place of the road, we would be able to harness enormous amounts of solar energy. It’s estimated that if we replaced all of the roads in the US with Solar Powered Roads, we would generate 3 times the amount of energy that we use, that’s insane! Let’s talk a little about how these Solar Panels can actually benefit everyone. It’s composed of a regularly operated Solar Panel that is encased with a highly protective glass material. This glass material has been tested in various different weather conditions, and different weights. With that in mind, they would beyond perfect for replacing the roads. Along with their Solar Panel features, these panels are equipped with various LED lights. These lights can change to a variety of different colors and pattern arrangements. Because of the ability to assign an LED pattern, we can assign parking lot configurations, emergency notifications on the road, detour lines, and more! The possibilities behind this technology are endless! With all of the solar powered technology that’s emerging lately, we can actually change our world for the better. The sun is going to around for a long time still, it’s time that we humans start to harness that power and start treating out planet better. For millions of years, nature has been doing this, and doing it efficiently. What’s to say that we cannot do the same thing? This technology is real, it’s happening right now. The FHA (Federal Highway Administration) has been begun to fund a prototype of this project. Depending on how much funding this project gets, and how successful it is during this prototype, we could possibly see our future unfold right in front of us. But we cannot get to our future without the help and support of the people in the present. This technology has me psyched, I hope that it really does happen, and changes the way that we live. It’ll even better our health, and our planet. What do you guys, the 7s community, think about what could possibly be our future? Also available on the homepage for this project is more information regarding the Prototype that is being created and implemented.